Bring the Station to your event! Creators of all ages and skill levels can sit down at a table and use our artistic supplies, reference material, and creative support staff to draw their original character or create fan art of their favorite character. 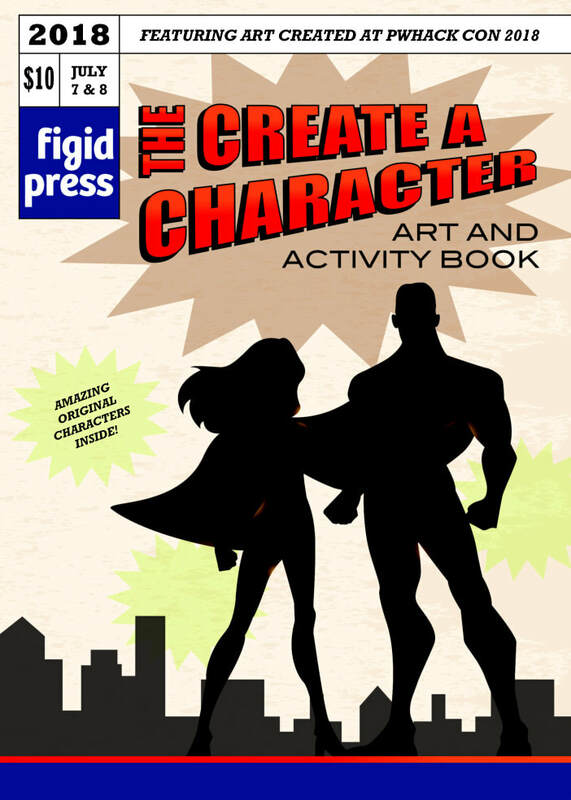 Artwork can be featured in a special edition Art and Activity book created just for events, containing submitted art, pictures from the event, comic page templates, and more. This is your chance to make your next event even more creative and help your participants see their work in print, so contact us today for pricing. ​Click on cover to order. 2018 PWHACK Con Edition. Click on cover to order.